Charlie over on Topologic Oceans came up with this super quick and easy DIY hot plate, and all you need is a clamp and a regular old iron. 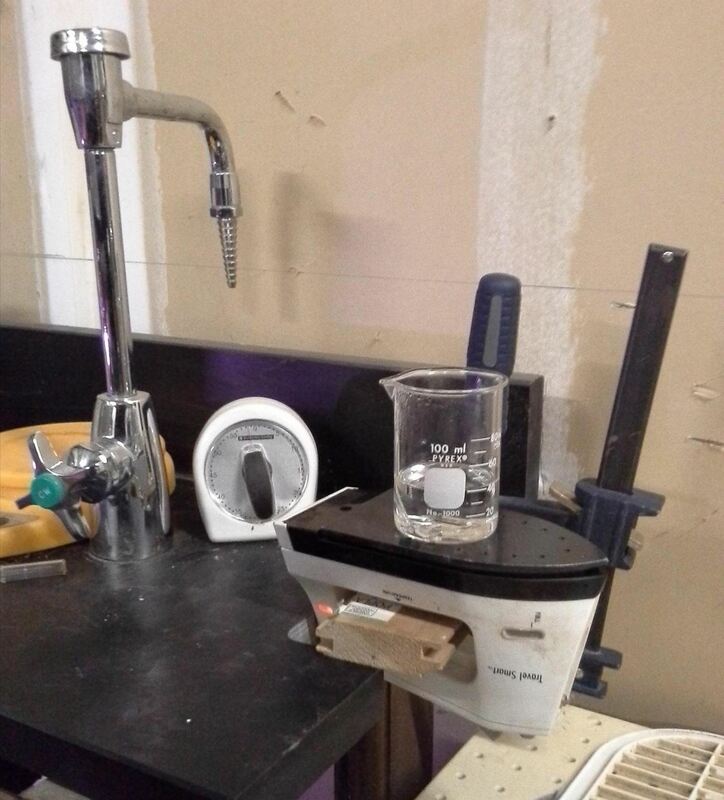 It may not be the best permanent solution, but it will save you from having to scrap your impromptu experiments for lack of equipment! Check out Charlie's post for details. Do you have any other ideas for a makeshift hot plate?